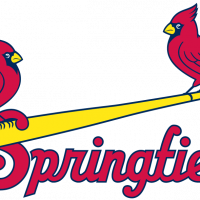 Tonight is the Springfield Cardinals home opener, but there’s a little dispute on how much you’re going to be paying for parking. The lot just south of Hammons Field and that parking structure next to the Expo Center, which are privately owned by the way, they were reportedly going to be charging $20 per vehicle. The owner of the lots JD Holdings LLC now say that’s wrong, that’s not the case, it’s more like 14 dollars this time around. Which we still hate to pay, but that’s way better than $20! It’s so hard to find good parking over there, you gotta get there early otherwise it’s a whole thing. So the Springfield Cardinals are kinda in this legal battle with the owners of these lots because the Cardinals say 14-15 dollars per car is too much. I hope they just keep it affordable because baseball is a family affair! But once you add it all together, everybody gets their peanuts and cracker jacks, it can get pretty pricey. Add the increased parking to that, there goes your family night! I hear Jordan Valley Ice Park will start charging cars 5 bucks so you do have options. Good luck if you’re headed that way tonight!